CleverDonkey.com » Scott’s Perfect Popcorn – Updated! Next, you need a tiny metal saucepan in which to melt your clarified butter. The one I use is large enough to hold about 2 cups of liquid, and has a handle on one side and a pour spout on the other side, making it easy to use. Picture a standard 2 cup glass measuring cup, and it looks kind of like that, only stainless steel. In a pinch you can use a glass measuring cup. I also recommend having a trivet of some kind for serving the hot popcorn in the pot. Serving the popcorn in the popping pot helps it stay warm, but it introduces some serving logistics, such as not scorching your table top. My preferred setup is to eat my popcorn at the coffee table. I set a heavy cotton placemat on the coffee table, and then set a large, round cork trivet on top of that, for insulation. When I serve the popcorn, I simply carry the hot pot out to the coffee table and set it on the cork trivet. Take 4-6 pounds of salted butter (four to six boxes, sixteen to twenty-four typical sticks of butter) and place it in a heavy saucepan. Heat on low heat for approximately two hours. You want the butter to melt and then gently bubble. The bubbling is the water boiling off. You can heat longer and the butter will brown up, giving it a nice, nutty flavor that I actually prefer – typically 3-4 hours will do it for the browned clarified butter. Strain through a strainer lined with paper towels into a heat-safe bowl or dish. This will remove the milk solids that have gathered at the bottom, and absorb the foam off the top. I then pour it into large mason jars and store at room temperature. It keeps for a long time, not sure how long but I’ve kept it for months without issue. It should keep like vegetable oil, which lasts quite a long time. Note that above directions make way more clarified butter than is needed for one batch of popcorn, so if you like you can take one or two sticks of butter and do the same thing (in a smaller pot). Also, many recipes for clarified butter recommend using unsalted butter, however I prefer the taste of the salted butter – it’s your preference. Also, clarified butter can be used for cooking. It heats nicely without smoking or scorching so you can use it for frying at higher temperatures, unlike butter. I try to keep some on hand at all times. It’s perfect on popcorn because it has virtually no water, so the popcorn stays completely crisp and does not get soggy. That’s it. I *highly* recommend Kernel Season’s popcorn, as it has a distinct qualitative advantage over every other brand I have tried, including Redenbacher, Newman’s Own, and Jolly Time. Also, please use real butter. If you’re on a diet, either eat less of the popcorn, or skip it all together, but please, please don’t use any other margarine or spread type substances. They *all* contain large quantities of water, and water kills good popcorn. (Also, if you don’t use real butter, please don’t associate your concoction with me in any way. Thank you.) I’m not providing exact quantities for a reason, which is that the proportions will depend on things like the size of the pot, and your own personal tastes. There are quantity guidelines in the Preparation section below. The following preparation instructions assume a 2 cup steel butter melting pot and a 9.5 quart heavy steel popping pot, and the stovetop settings are what works best on my electric stove. You may have to adjust to your stove and/or tastes. If you use a glass measuring cup for your clarified butter, make sure that it is safe for the stove top. First, put the small pot containing 1/4 cup of clarified butter (or more or less depending on your tastes or mood) on a small burner on medium-low and allow it to begin warming. If you are using a stovetop-safe glass measuring cup for your butter, wait 3-5 minutes before starting the next step, as the butter takes that much longer to heat up in a glass measuring cup. Now, place the large pot on a large burner set on medium, and add enough coconut oil to cover the bottom up to about an eighth of an inch deep when melted. To give some perspective, you want the oil to be deep enough to cover about ¾ of a popcorn kernel, but not to totally submerge it. Now drop in two kernels (you can also use these to judge your oil depth) and cover the pot. Swirl the clarified butter a little bit while you wait for both kernels to pop. Once they have popped, add enough popcorn to obscure the bottom of the pot, and then put the lid back on. Add the popcorn right after the two kernels have popped, or the coconut oil may get too hot and you will end up with scorched and/or half-popped kernels. Pick up the pot and give it a couple of swirls to ensure that all the kernels have been coated with oil. In a minute or two the popcorn will start popping. Give the popcorn pot an occasional swirling shake to keep things moving. The popping will increase to an almost constant state, and then will begin to slow down. You need to be very careful here, because you want as much popcorn to pop as possible, but even 15-20 seconds too long on the burner will result in scorched popcorn. 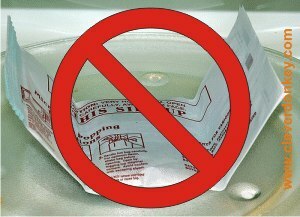 Once the popping slows to 1 or 2 pops per second, immediately remove the pot from the heat (don’t just turn the heat off) and remove the lid to allow the rest of the steam to escape. Now pick up your clarified butter pot and carefully drizzle about a third of the butter onto the top of the popcorn in an even spiral pattern. Then sprinkle on a little bit of salt, and pick up the popcorn pot and give it two or three good shakes to bring the unbuttered popcorn up from the bottom. Drizzle another third of the butter on top, and add a little more salt and shake the pot one last time. Now add the rest of the butter and a little more salt. Avoid excessive pot shaking, as each shake will also release heat, and you want to retain as much heat as possible, as hot popcorn tastes the best. Serve and eat immediately! I eat it right out of the popping pot, when possible. Sometimes that’s impossible, such as eating it in bed, where the hot pot would just be too dangerous, but serve it hot whenever possible, it makes a lot of difference. The process described above takes me less than 15 minutes, from start to finish, assuming the pots are clean and dry, and that the ingredients haven’t gone missing, and you have clarified butter on hand. That’s a very small time investment for a wonderful, wonderful snack. The popcorn described above is not a diet or health food. It is an indulgence, and should be consumed in moderation. But, whatever you do, please don’t substitute ingredients…for instance, canola oil cooks differently, and (as I mentioned above) any margarine-like product will drown your crunchy popcorn into a chewy mess. Only make this popcorn when you mean it, and when you can afford it, calorically. And make sure to enjoy it while it’s hot…that’s when it’s at its most perfect. And if you can’t finish it all, simply cover the pot and leave the popcorn out for the next day. If covered, it won’t get stale, and it actually tastes wonderful. And, contrary to some perceptions, butter does not go bad overnight. It actually takes almost a week at room temperature for butter to turn. Also, a quick word about microwave popcorn – microwave popcorn is the fruit of the devil. Yes, it is quick, easy, and convenient, but so is Spam (the lunch meat product, not the email). There are those who really like Spam, just as there are those who really like microwave popcorn, but most are settling for less than what they want simply for the convenience. I think that if you give my popcorn a chance, you’ll never go back to nuking it. Subscribe to comments with RSS or TrackBack to 'Scott’s Perfect Popcorn – Updated!'. The news channels are all abuzz today about a consumer that contracted “popcorn lung”, which is a disease that usually only effects workers in plants making microwave popcorn. However, this person regularly made microwave popcorn and contracted the same disease, apparently due to the deleterious effects of the ‘diacetyl’, which is an ingredient in most artificial butter flavoring. This reinforces one of the major themes of the original article above, which is that microwave popcorn is the fruit of the devil! Excellent cooking instructions! I am, however, a popcornholic, and I need a fix almost every night.Due to my condition, I have perfected air pop, and use a spray water bottle to add just enough moisture to make salt stick. And Orville’s is the ONLY popcorn. – You say vegetable oil, which is kind of ambiguous. Corn oil is what I’ve always used; is there something better? – I use a Calphalon 12-quart stock pot. The bigger pot helps in two ways. First, about a third of the way through the pop, kernels will stop pinging off the lid and you can remove it entirely, greatly reducing the amount of steam. Second, because it is much taller than wide, the popped corn gets lifted safely above the hot bottom and really helps with scorch prevention. Congrats! I am in Australia, but wholeheartedly agree with your rant, stance and even your recipe. Well done mate- stay true to popcorn on the stove- that other stuff is absolute rubbish! I too know the love of popcorn and insist on making it myself on the store much to my boyfriend’s disdain. But he is one of the uninitiated…. Thanks, and agreed, but it feels like we’re in an ever-shrinking minority. It’s gotten to the point where our local grocery store doesn’t even carry bulk popping corn any more, just microwave, so we have to go to a different store to get it now. A travesty! Thanks! I’ve tried a lot of methods but now use the Whirley Pop popper and love it. Decided to try using clarified butter to pop my corn in, and then add pulverized salt but no more fat. Good flavor and not too fatty.